Assyrian speakers make up about 35 per cent of Södertälje's 100,000-strong population, which is why they felt left out in the new multilingual road welcome signs. The municipality apologised for its oversight and promised to address the matter. Road signs welcoming motorists to Södertälje in different languages have sparked criticism for not including Assyrian, which is one of the Swedish municipality's most widely spoken languages. 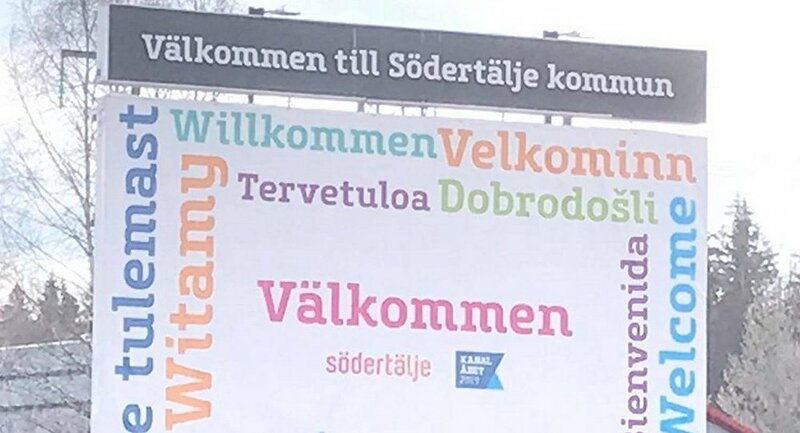 While the welcome signs featured 13 languages, including Estonian, Polish and Turkish, Södertälje authorities failed to include Assyrian, which is spoken by 35 per cent of the municipality's over 100,000-strong population. This omission led to criticism on social media from both politicians and ordinary Swedes. "Shame on you, Södertälje municipality! Not a word in the municipality's largest language after Swedish", Christian Democrat politician Aday Bethkinne said in a Facebook post. "Swedish only would have more than sufficed. But since they chose to have them in 13 other languages, but not the one that 40 per cent of Södertälje speaks, this is really bad", Bethkinne said. He pointed out that Södertälje is often referred to as Mesopotälje after the historical Mesopotamia region due to its significant population of Syrians, Assyrians and Chaldeans. In the comments sections, many supported the idea that "the language of Jesus" should be included. Following the criticism the municipality pledged to take down the signs and rectify its mistake. "We have become aware that the highway signs should include more languages. We apologise for making this mistake, and we will of course change and do the right thing", the municipality said. Authorities said they understood why people are "disappointed", adding that they want everyone to be proud of the area's diversity. "Of course, the largest languages should be included in the signs, it's the human factor", Ulf Westman of Destination Södertälje told the SVT national broadcaster. "I'm really sorry people are disappointed and I understand that. But the idea from our side is exactly the opposite, we want everyone to be included and we are proud of the diversity in Södertälje and that is one of the reasons why we make these signs". Assyrian, also known as Neo-Assyrian, Neo-Aramaic or even Syriac, is a Semitic language spoken by some 3 million people in parts of Iran, Iraq, Turkey and Syria, as well as the Assyrian diaspora in the US and Europe, including Russia. At 150,000, the predominantly Christian Assyrians are one of Sweden's largest diasporas.